← End of Year for Teachers – Congratulations! I had no idea when I started to blog my “Journey Thoughts” that anyone else, other than a few family and friends, would actually read my little blog. I was so busy trying to publish and market my book that my blog was all but forgotten. Once in a while I’d add a little anecdote, an update, or share a snippet of my life experiences while walking with the Father. It was only when I got an email from a teacher in South Carolina who said that my blog “moved her” emotionally and spiritually that I realized God had given me a ministry opportunity here. One day I “Googled” my name and I discovered that someone had nominated my “little” blog for the 2010 Canadian Weblog Awards in not one, not two but THREE categories! Imagine my surprise! Suddenly my “Journey Thoughts” had a much larger readership than just family and friends. Since that first nomination, Journey Thoughts has been nominated every year since in the Canadian Weblog Awards. It has won a Canadian Christian Writing Award and I have thousands of followers from around the world. A father in Saudi Arabia said he had read a story I wrote for Chicken Soup for the Soul to his daughters and they now follow my blog regularly. I thank my loyal readers, followers and those who share my blog with others on Twitter, Facebook, Pinterest, Google and more. With popularity also comes much responsibility. I take blogging seriously. I have noticed in the blogosphere that there are millions of bloggers out there. There are some blogs that I take time to read regularly. They uplift and encourage me with their content. There are others that I enjoy because they write about family, food and fun…I get some of my best “Grandma” ideas about crafts and kid-friendly recipes that I share with my grandbabies. Still other bloggers talk about the craft of writing, being an author, publishing and marketing and I go to those blogs regularly for advice and inspiration. There are also blogs that are more confrontational and political in content. I notice that these blogs tend to have quite an audience and a stream of commenters, some who are very opinionated and occasionally offensive. When I see that sort of thing I tend to avoid those “worldly” blogs that do not honour or glorify God. That’s just me. In a world that is struggling to find hope in what some see as a hopeless world, I have had readers say that my posting scripture or talking about the grace of God is “just what (they) need” at “just the right time”. I find that interesting. God leads people to my blog at just the right time. I am humbled. I belong to a group of Canadian writers who have been regularly praying for “Word Warriors”, a name someone coined to describe those of us who write from a Christian world view perspective. I love that! So I invite you to check out just a few of my favourite “Word Warrior” blogs and please pray for all of us who blog so that the name of Jesus will be lifted high. Pray that we will glorify Him in all we do, say and WRITE! This entry was posted in Proverbs 16:9 - Journey Thoughts, Write On! 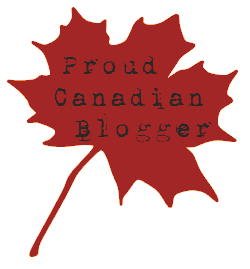 and tagged Bloggers, Blogging, Canadian Christian Writing Awards, Canadian Weblog Awards, Connie Cavanaugh, Facebook, Google, Journey Thoughts, Kathy Howard, Life, Matt Walsh, Pinterest, Twitter, Writing. Bookmark the permalink. Thanks for this word. Other members of our Christian Poets & Writers group on Facebook will surely benefit, too, so I highlighted the post on the Christian Poets & Writers blog – http://christianpoetsandwriters.blogspot.com. God bless.